Zero waste and plastic-free pregnancy? Nope, not this one. I've gone back and fourth on writing this blog post. In the space of six months I received over 200 emails asking the question how to “do” a zero waste and plastic-free pregnancy. Gosh, what a loaded question! And one I was unsure how to answer properly because i didn't try for one. While we tried to limit some waste, it was never a goal for us and believe it shouldn't be for anyone unless it's their choice. If this is something you'd like to do with your pregnancy, please consult a medical professional to help you. I'm not a medical professional and this blog post is not intended to provide medical advice. Being able to reduce plastic and waste easily in any scenario comes down to two main factors; circumstance and knowledge. Our circumstances involve things like health, location, financial, support, time. The knowledge is being aware about the issue of plastic and waste and understanding your options. You could know everything about reducing plastic but something like money or location could inhibit you from being able to commit completely to reducing plastic and waste. Similarly, a lack of knowledge limits the awareness on options available. If we don't know how to do something differently, it's harder to make a change because we don't know we can. For example, mine and my unborn child's health during pregnancy made it difficult to allow for a low waste pregnancy and birth. Then there was my lack of knowledge of general pregnancy and all the possible complications plus little knowledge of birth without modern intervention. So if you were unbound by the limitations of circumstance and were comfortable and confident in your knowledge, reducing waste in these three areas is achievable. Here are some ways waste could be reduced in pregnancy if this is what you would like to talk to a health professional about. 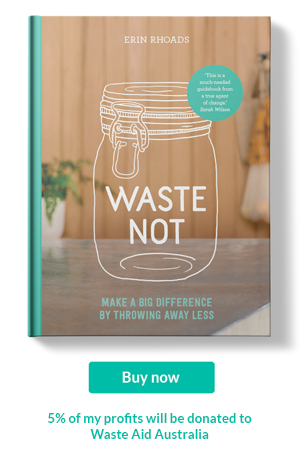 Continue to shop in the same zero waste style you already are. Reuse containers, bags and bottles at bulk stores or co-ops, delis, bakeries, fruit and veg markets. Instead of a plastic pregnancy test trust your body to follow these pregnancy signs or wait for the standard blood test which is used to test iron, thyroid function etc. All of the above are possible if that is the pregnancy you want to have. So why did I, this so called zero waste expert, not have a zero waste pregnancy? A lack of knowledge and awareness in alternatives, little preparedness for what to expect during pregnancy as I had not expected to become pregnant so quickly, and lastly the circumstance of my health and baby's made some choices harder. So if you came here to read about a zero waste pregnancy, sorry wrong blog. And i don't advocate prioritising for low waste pregnancy. On the scale of issue relating to packaging or waste i personally believe medicine is that high of an issue. Yes, i think Elevit could repackage their multivitmains differently but medical tests and other related items needed to look after mum and bubs health shouldn't be scrutinised over. The day before our honeymoon I had spotting (bleeding), one of our bodies many ways of announcing “you're pregnant.” We had only started trying a month prior, the possibility of being pregnant didn't seem possible. Plus, we were about to leave for our three week romantic honeymoon visiting London, Norway, South-West France for a friends wedding, hiking in Corsica and relaxing in Sardinia. 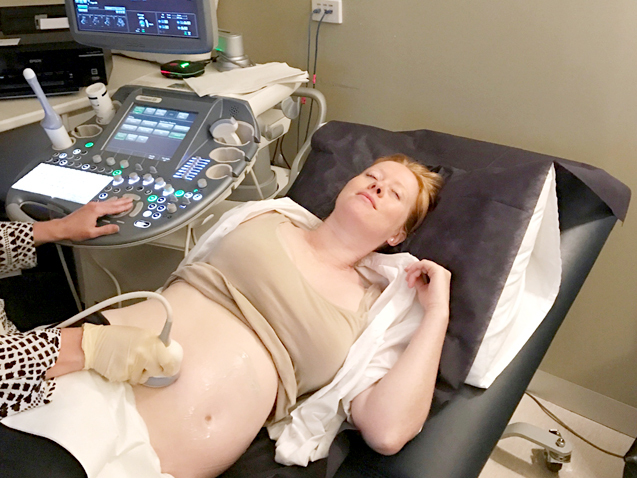 I could have trusted my intuition, waiting until we returned to Australia for the standard blood tests which would confirm my pregnancy, but excitement got the better of me. We arrived in London early in the morning and all I could think of was getting to Aldgate East tube station and finding a Boots or Superdrug to buy a pregnancy test before we thought of checking into the hotel. I did recycle the box. The first two weeks following the pregnancy test were normal. We continued on our honeymoon, incorporating the usual zero waste and plastic-free habits that we have at home and on all our other holidays abroad. Travelling zero waste in Europe is easy, especially France. By the final week of our honeymoon everything changed. Morning sickness announced itself rudely. Nausea engulfed my body and I began vomiting regularly. With nothing staying down I dreaded breakfast, lunch and dinner. Even water came back up. We scrolled lists of morning sickness blog posts reading cures upon cures. Many of them unappealing and often made me dry retch. At home we would have been able to collect some of the more palatable options zero waste and plastic-free. But we were not at home. We were in a small town on the island of Sardinia, our grasp of the local language hovering between OK and pathetic. The only way of buying ginger was to choose the stuff covered in sugar, wrapped in plastic packaging. Seriously no fresh ginger. Anywhere. So we gave in. The plastic bag came home for us to drop at RedCycle, with most of the sweet ginger inside. It did nothing for my morning sickness. Tap water in my reusable bottle was swapped for soda water in plastic bottles. The fizz for some reason helped keep fluid down. With temperatures hovering around 35 degrees, I needed to stay hydrated and didn't think twice about the plastic. Mine and the babies health was more important. We recycled the bottles (sooo many bottles). Lucky the Sardinians love their bread or I don't know what I would have eaten. While the Builder enjoyed his Mediterranean feasts, I ate the bread basket. In a panic the Builder bought pregnancy multivitamins thinking the baby was getting no nutrients from all the pane carasau (a wafer thin flat bread popular in Sardinia, resembling a giant water cracker). Another plastic bottle to recycle. You may or may not have seen a little video posted via social media on how easy flying zero waste is. Well, it was easy going to Europe. The flight back to Melbourne was hell. All the food we had bought with us made me sick. I even told the Builder to leave me in Dubai. I'd rent a hotel room for nine months, have the baby and fly home. It took a visit to the Dubai Airport Medical Centre and some medication to get me onto the final leg home. You know the little biscuit packs often found on planes or at work conferences, the ones with two inside...I ate them from Rome to Dubai, Dubai to Melbourne. Plus those cardboardy bread rolls wrapped in plastic. Oh, and more fizzy water. Every bit of plastic packaging was hoarded and dropped at RedCycle. If I had been stopped at immigration there is not doubt they wold have asked why I had bags of plastic. I arrived home feeling crumbled. How could something so small be doing this? I closed the blinds and crawled into bed for two weeks, the plastic packaged bread and biscuits were swapped for our usual unpackaged sourdough, covered in lashing of honey or peanut butter or Aussiemite. I tried fresh ginger tea with no avail. The magic of fizzy water stopped working, instead swapped for cans of coconut water. The smell of meat, wine and even people, including my husband, would smell so putrid I'd vomit. We recycled the cans (sooo many cans). Eventually my hormones settled enough for me to function and I was able to visit the doctor to have the usual blood tests to make sure my body was doing OK. I was advised to take a mutlivitamin, B6 to help with nausea and then later found out my thyroid was not functioning meaning I had to take a tablet for this also. I got use to the constant nausea which stuck with me until I gave birth. Bread was replaced with normal food, my cans of coconut water swapped for a pregnancy tea brewed cold. I could not stand hot drinks. This magnesium oil got me through the last three months. I've never been anti-plastic, simply anti it's misuse. It's worth noting there are alot of women around the world who have low waste pregnancies with no plastic as they don't have any choice, but then they might face health issues and all the plastic used in modern medicine could save their lives. I personally don't see plastic in medicine a waste. If anything plastic has done so much for medicine. I guess the point of this blog post is to emphasise there may be moments in life where we will make choices requiring plastic or where we'll make rubbish. It's OK. Our world is currently based on a linear system not a circular. And not one pregnancy is the same as another. And always be kind to yourself and bub. The main reason I struggled to write something about my pregnancy was a fear i'd make anyone feel they had failed living zero waste had they created rubbish. This is not a “10 ways to reduce your rubbish etc” post. It's a story about MY pregnancy. Is it possible to have a zero waste and plastic-free pregnancy? Absolutely! There are many MANY women who do. I didn't and i don't regret it. Another reason I hesitated writing this was because I suffered feelings of inadequacy from reading posts on “how to do pregnancy” or “what to eat for pregnancy” etc. I didn't ever want to make anyone feel this way when reading my blog. I can imagine the authors of those blog posts never intended to make a reader feel like they were not measuring up, they were simply sharing their own thoughts, hoping to help another woman. If you are presently going through a rough pregnancy and are experiencing anxiety and/or depression I encourage you to reach out to PANDA (Perinatal Anxiety & Depression Australia) or a similar program in your country.